To start a business in the field of voice traffic termination, it is enough to have one VoIP GSM gateway. It is the gateways that provide the main task for the terminator - to “land” international VoIP traffic at a local rate, converting it into GSM calls. However, as your business expands, when you work with a large number of SIM cards it is difficult to do without a SIM bank. It is needed for both, storing a large number of SIM-cards and for remote control of gateways. 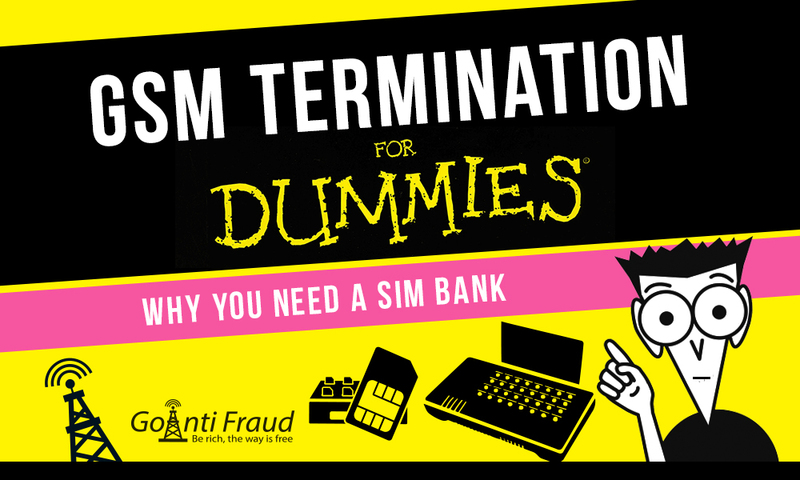 SIM bank is a “box” accommodating all SIM cards taking part in termination. Physically, SIM-cards will always be with you, while they will be loaded into and unloaded from the gateway channels virtually. For remote operation of gateways you also need a special software - SIM-server. With it’s help, you will be able to simulate the SIM-cards movement around the city (the function of "SIM migration"). By virtually moving the cards between different gateways installed in several locations, you will simulate the behavior of a real subscriber. After all, real people can not stay in one place all the time, otherwise this will cause the operator’s suspicion. Special antifraud systems will quickly block your SIM cards in this case. Using the SIM-bank in conjunction with the SIM-server, the terminator also gets the opportunity to carry out the SIM cards’ rotation. The cards will virtually move in and out of different channels, making calls in turns. This will allow distributing the minutes between several SIM-cards, thereby reducing the load for each card. The use of the rotation function also reduces the frequency of the SIM blocking, because AntiFraud systems track the duration of calls. You should admit that a real person cannot make non-stop calls all day long; it becomes immediately clear to the operator that voip gsm gateway for call termination is running. You can use the GoAntiFraud tools to effectively simulate the behavior of a real subscriber. Our experienced specialists will help you develop scenarios for SIM-cards behavior to minimize the SIM-blocking using a SIM-bank.